Lucille P. Biss, age 82 of Elbow Lake, died Thursday, November 15, 2018 at the Evansville Care Campus. Lucille Pearl Sampson was born December 29, 1935 to Peter and Bertha (Hensen) Sampson in Wilton, North Dakota. On August 31, 1957 she married Elmer Biss and they resided on a farm in Delaware Township. In 1986 they purchased a home in Elbow Lake. Along with raising her family and being a homemaker, Lucille felt the need to pursue her love of music by starting the ElKay Band which she played in from 1977 to 1983. In 1983 she opened Lu’s Upholstery and Swap Shop in Elbow Lake and in 1984 purchased the Montgomery Ward’s building and continued doing the catalog sales. In 1990, she retired from her shop. 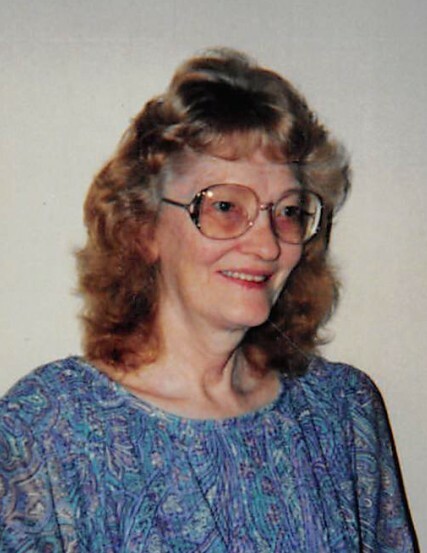 Following Elmer’s death in 2000, Lucille wintered in Arizona until 2015. Lucille enjoyed watching Wheel of Fortune, listening to bluegrass music, and playing board games. Lucille is survived by her son, Kelly Biss, and daughters, Kimber Wolfe, and Kay (Alfred) Murtland, all of Elbow Lake; 5 grandchildren, Tiffany McAnnany, Benjamin (Theresa) McAnnany, Jonathan Murtland, Bettina Murtland and Vaughn Rodman. She was preceded in death by her parents; husband, Elmer; and brother, Palmer Sampson. Visitation and Sharing of Memories: 1:00 – 3:00 PM, Wednesday, November 21, 2018 with a Sharing of Memories at 3:00 PM at Erickson-Smith Funeral Home, Elbow Lake.